The Air Jordan 11 “Space Jam” is one of the more well respected Air Jordan 11 release of all-time. Jordan Brand will be celebrating the 20th Anniversary of Space Jam with a re-release of the classic Air Jordan 11 that was originally debuted by Michael Jordan in the film and later on the court. 20 years later, the “Space Jam” Air Jordan 11 will be receiving a remastered original makeover similar to what Michael Jordan originally wore during the 1995 NBA Playoffs with its traditional all-Black mesh and a higher-cut patent leather upper. Other details include a Concord Jumpman, stitched ’45’ on the back heel (not ’23), Nike Air insoles, White midsole and a translucent outsole, along with the Jumpman/Jordan inscribed on the tongue tab. They’ll come housed in special edition Looney Tunes and Bugs Bunny themed box. The package includes a Space Jam theme under box cover graphic, along with the number ’45’ on the wrapping paper and displayed on inner of the box. There’s also a special graphic of both Bugs Bunny’s and The Monsters’ arms wrapping around each-other to create the number ’23.’ Finishing off the packaging design is a dot pattern ‘XI’ on the plastic cover. The Air Jordan 11 “Space Jam” will release as a remastered version during the holiday season launching on December 10th, 2016 at select Jordan Brand retail stores. The retail price tag is set at $220 USD. Take a journey through the images below of the 2016 “Space Jam” Air Jordan 11s for its 20th Anniversary. UPDATE: One of the all-time greatest Air Jordans returns for the holiday season that sports MJ’s comeback #45 on the heels. Look for the “Space Jam” Air Jordan 11s to be available everywhere tomorrow, December 10th through shops like Packer Shoes. UPDATE: A closer look at the Air Jordan 11 “Space Jam” via fastpass. 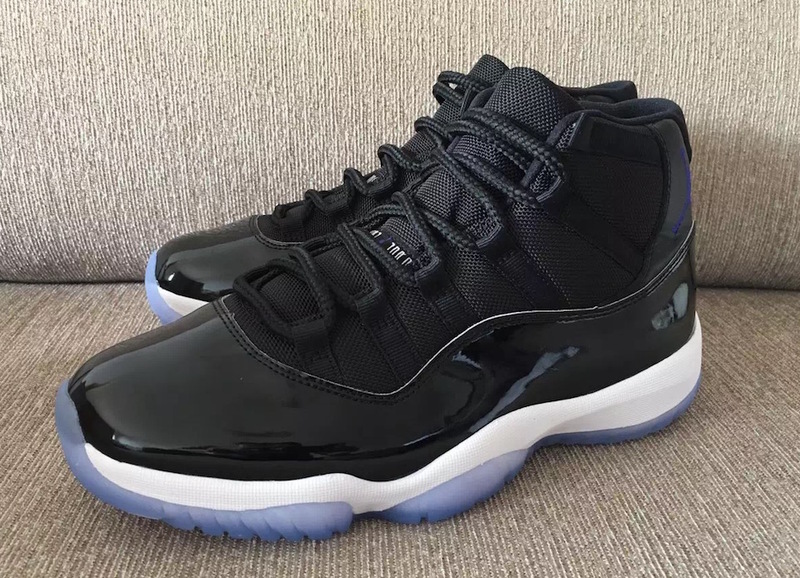 UPDATE: More looks of the anticipated “Space Jam” Air Jordan 11 that debuts in December. 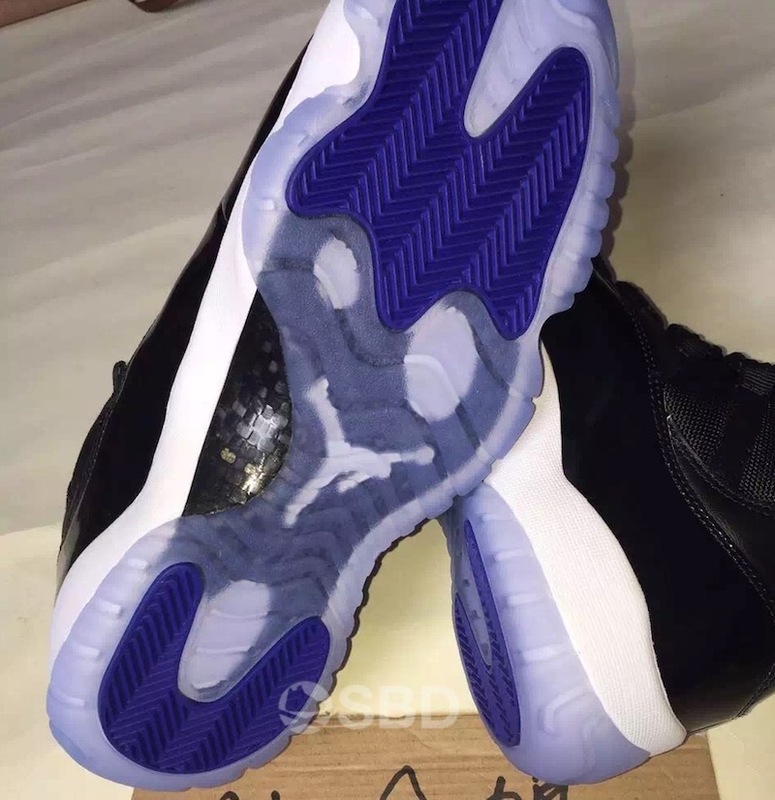 UPDATE: New images of the Air Jordan 11 Space Jam 2016 via @us11hustla. UPDATE: The 2016 Air Jordan 11 “Space Jam” will not only include the 45 on the heels and Nike Air branding, but they’ll also come built to resemble the 1995 original pair that Michael Jordan wore during the NBA Playoffs. With that, the patent leather on the upper will be a higher cut to mimci the original pair. Check out the latest images below via @iamchickenwop. UPDATE: Not only will the 2016 “Space Jam” Air Jordan 11s will include the number 45 on the back heels, but they’ll also be branded with Nike Air on the insoles via My Sole. UPDATE: According to sources, the retail version of the 2016 Air Jordan 11 “Space Jam” will include the number 45 stitched on the back heels instead of the traditional 23. Below are teaser images via Swish Suppy, My Sole and Publish Your Kicks. Stay tuned to Sneaker Bar for more updates. 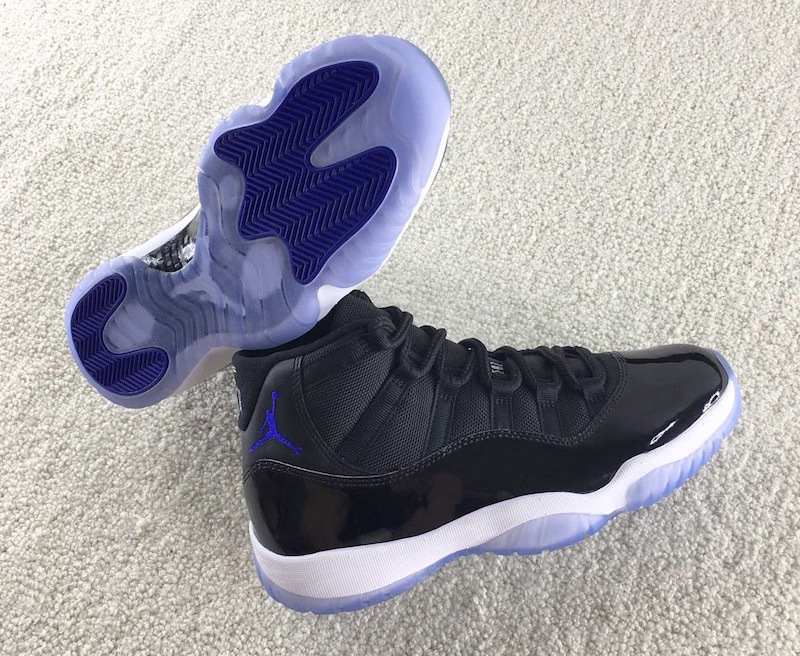 UPDATE: Here is another preview look via @solespeed4image at the “Space Jam” Air Jordan 11 that offers a first look at the patent leather and what to expect from the outsole. UPDATE: Early preview images via @zsneakerheads of what this year’s “Space Jam” Air Jordan 11 will look like. Some key notes is the Concord accents and the stitched number ’23’ that was seen on Michael Jordan’s original PE. Stay tuned to Sneaker Bar for more updates. UPDATE: According to @_P02345, Jordan Brand will be making the 20th Anniversary Air Jordan 11 “Space Jam” more similar to the original pair Michael Jordan wore in the movie. One of the main differences will be a Concord Jumpman rather than the Royal Blue that we’re custom to seeing.